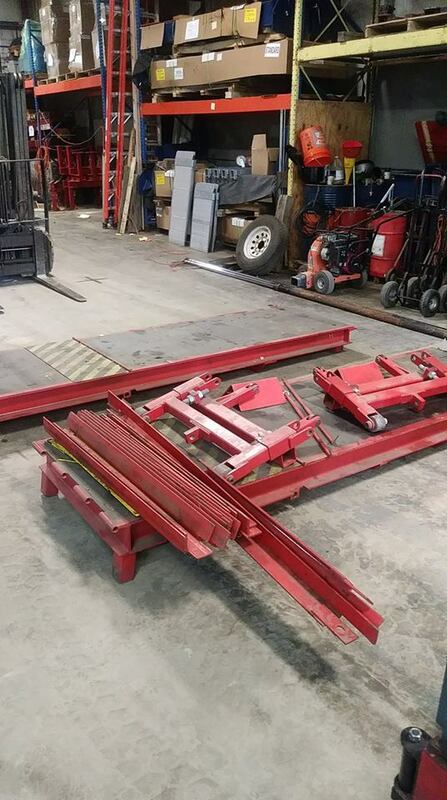 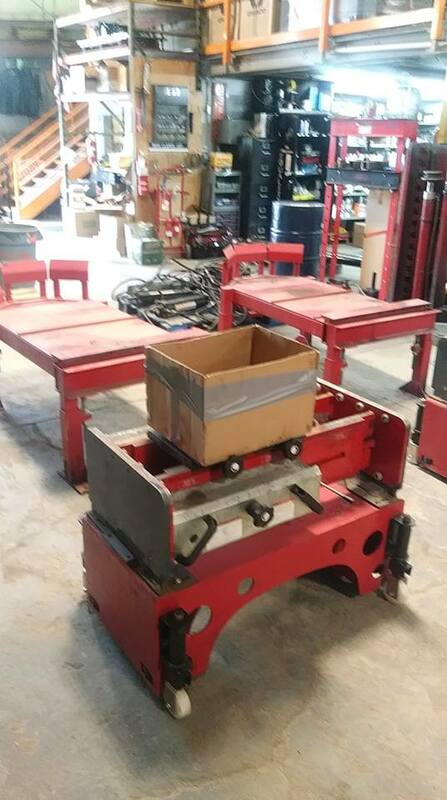 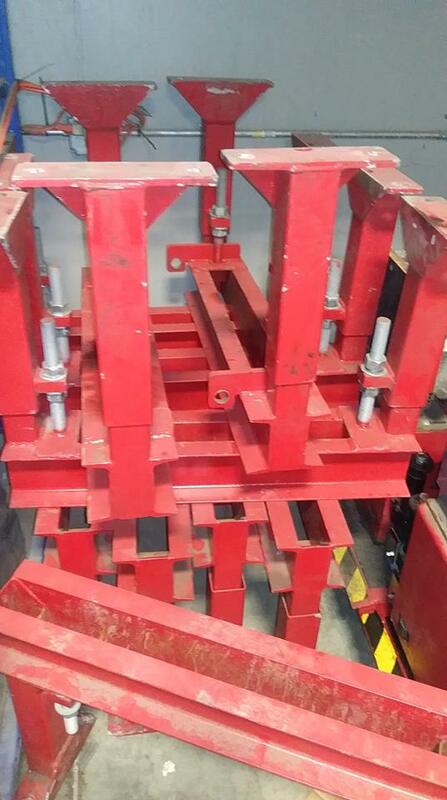 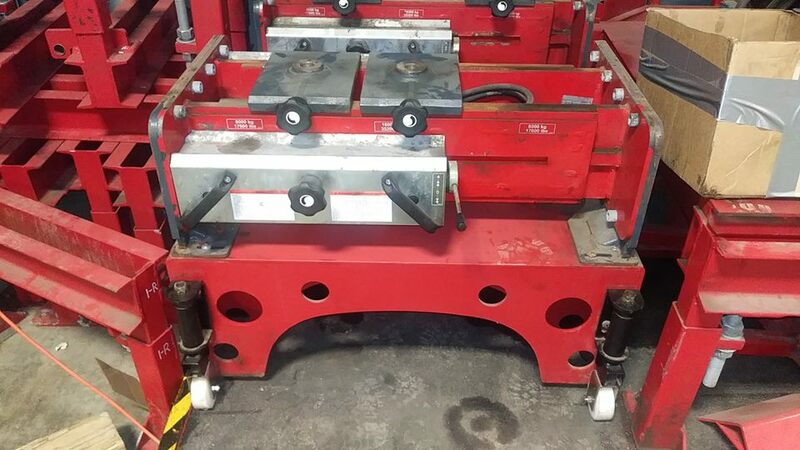 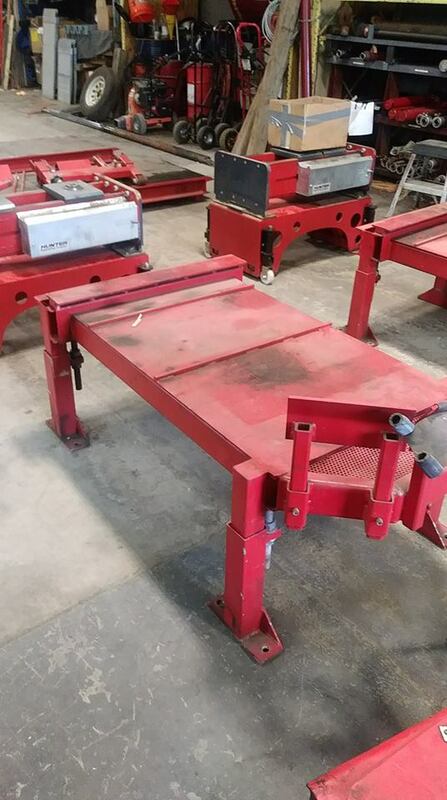 Up for sale is a used Hunter RKHD PowerRack alignment rack that comes with 2 – 17,600lb rolling jacks. 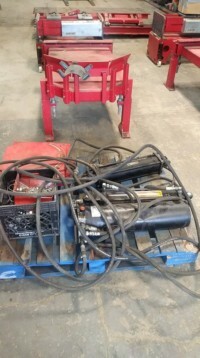 This piece of equipment is over $65,000 new. 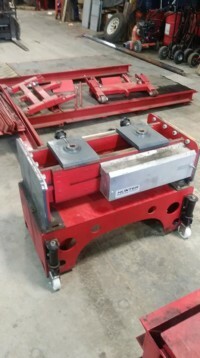 This equipment can be either surface mounted or installed in a pit to be a true drive on. The equipment comes with the necessary instructions and prints required to install the lift. 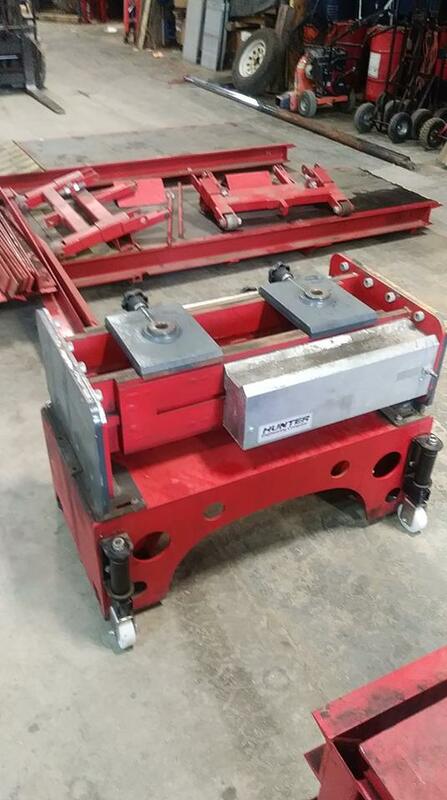 Power unit requires 220 volt /single phase power and air supplied to the lift to operate the rolling jacks. The rolling jacks have had all the wheels replaced. 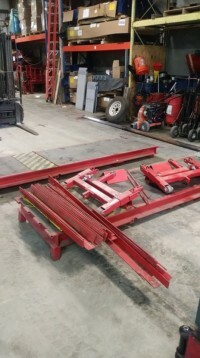 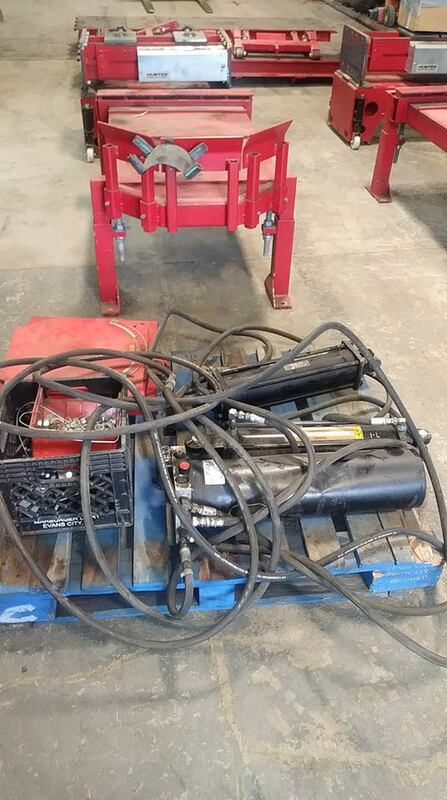 Buyer is responsible for delivery or installation of this equipment. 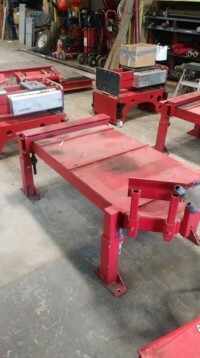 Hunter’sRKHD Series of power lift racksbrings innovative safety and versatility features to the shop to make heavy-duty alignment fast and easy. This heavy-duty wheel alignment equipmentcan adjust to support vehicles up to 20,000 lbs. per-axle, with a runway width of 33 in. 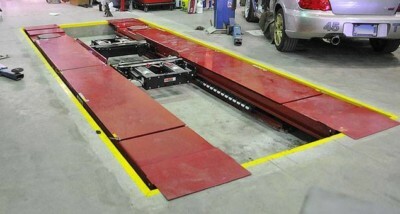 This truck lift rack bolts directly to the bay floor providing maximum strength. 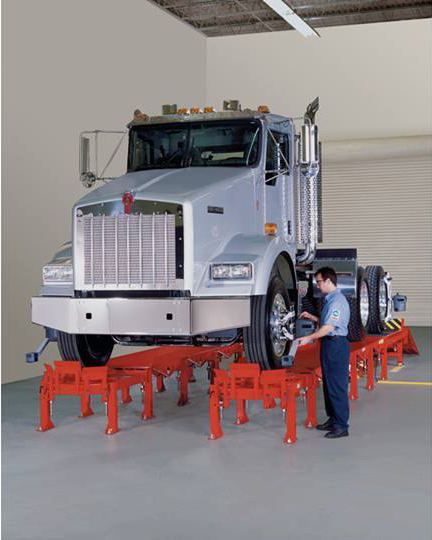 Each leg has a level adjustment for maximum accuracy, while adjustable wheel stops provide clearance for vehicle service operations. These power lift racks also feature a non-skid surface, preventing wheel spin and its inside rub-rails prevent smaller vehicles from driving off the sides of the runway.You won’t find any other truck lift rack or bus lift rack on the market with the innovative features and ease of operation as the Hunter RKHD.